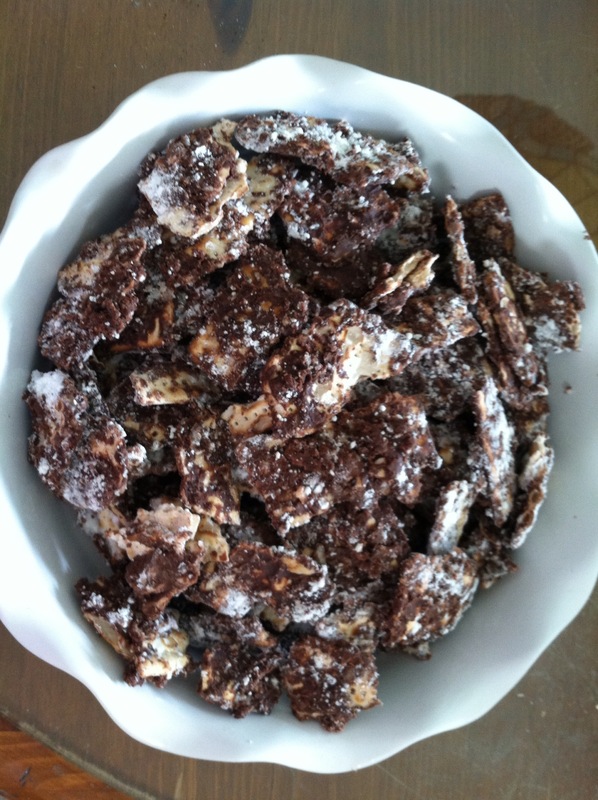 Fantastically Fit | Matzah Chocolate PB Mix Recipe! Okay so I know Passover is over so there is no real need for a matzah recipe. BUT: 1. This recipe is too tasty not to share and 2. Maybe you have a lot of extra matzah you are trying to use up? Even if you don’t have matzah this could probably be substituted with another thin type of cracker. I have an obsession with peanut butter. I consider myself a nut butter addict. Probably because I do not discriminate against any nut butter, peanut, almond, cashew, hazelnut, etc. You name it I love it! So, when I was trying to come up with some tasty treats for my family Passover party, I knew I wanted something with peanut butter in it. 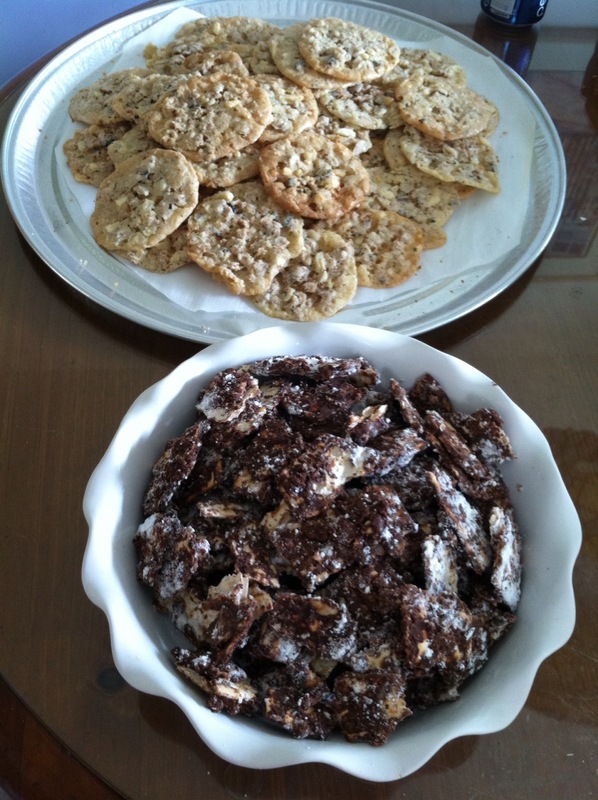 These treats were a hit and sooo good. Let me warn you that they are super addicting!